A born-and-raised Wisconsinite pledging allegiance to the Packers, cheese curds, and beer, Allie started her travel, writing, and military career upon graduating from the University of Minnesota 2012. There, she double-majored in broadcast journalism and communication studies while working part-time for the Big Ten Network and interning at FOX Sports North and WCCO-TV. Amber's currently based in Minneapolis as a freelance editor, writer, and floral designer. She's worked on over a dozen organic farms in every corner of the country and spent summers in California and Vermont on flower farms, as is her main passion. She also deeply believes when we eat food from local, small farms or independent growers, we take in the positive energy and joy that was put into planting, nurturing and harvesting those crops. 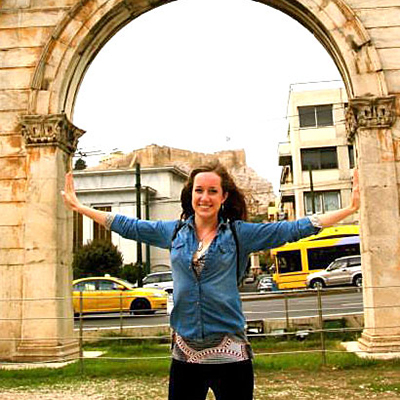 Libby is a freelance journalist and travel writer, currently based in New York. Her work has appeared in Forbes Travel Guide, Delta Sky, and the Minneapolis Star Tribune. She’s a Minnesota native with a soft spot for exploring the flyover states, even though she now lives much closer to the ocean. Follow her travels and quest for beautiful bookstores on Instagram and take a look at her previous work in her portfolio. Maya cannot sleep on planes, though she wishes with all her might that she could. Having grown up in the U.S., Europe, and Asia, she’s crossed the Atlantic and Pacific Oceans more than 100 times by her teenage years and would be hard pressed to list one locale as her hometown. She holds a master’s degree in Food Culture and Communications from the University of Gastronomic Sciences which, combined with her dietetics and chemistry background, allows her to nerd out on fermented foods like sourdough, kombucha, and beer. She really digs the way fermentation lets us peek into the relationship between humans and microbes, and is currently interning at the Nordic Food Lab in Copenhagen. Follow her food adventures and lab shenanigans on Instagram. Kevin is a Minneapolis freelance writer. His work has been featured on Minnpost, The Metropolitan, Haute Dish Literary Magazine, and a nonprofit called The Enitan Story. When he’s not bobbing his head at an indie rap show or talking politics over spicy street tacos on Lake Street, he’s helping strangers find humor in their failed love experiments on his blog DrKevsLoveAdvice.com. He’ll travel anywhere with a beach, but is partial to California and the Great Lakes. Kevin is also a collector of old records and enjoys reading. Caitlin is a Minneapolis-based freelance writer and contributor for Carry On. She has a background in the world of graphic design and art direction, and her writing and design work have been on exhibit at the Minnesota Center for Book Arts. She keeps her creative focus fueled through travel, and enjoys its renewing quality. She admits to having a mild deviled egg fixation and recently discovered her love for Okonomiyaki. She has three children and a sheepdog named Wendel who works overtime to keep things interesting. Read more about Caitlin on her website.